New Listing! Outstanding opportunity to own a well maintained and updated home in an established neighborhood on dead end street. Custom built gourmet kitchen with center island, wall ovens, granite countertops, stainless steel appliances, solid wood slow-close cabinets and drawers. Beautiful engineered wood flooring throughout. The family room features cathedral ceilings, skylights, and an awesome gas fireplace as the focal point. All 4 bedrooms on the upper level. Large master bedroom with magnificent master bath featuring frameless shower, vaulted ceilings, skylights, dual sinks, and more. All bathrooms updated with modern design and materials. Luscious yard with professional landscaping. Oversized garage is super deep with ample space to accommodate additional workshop if desired. Ground level deck with serene wooded views. Large unfinished basement, just waiting for your design and imagination. Utility sink in place and rough in for a full bath is ready to go. 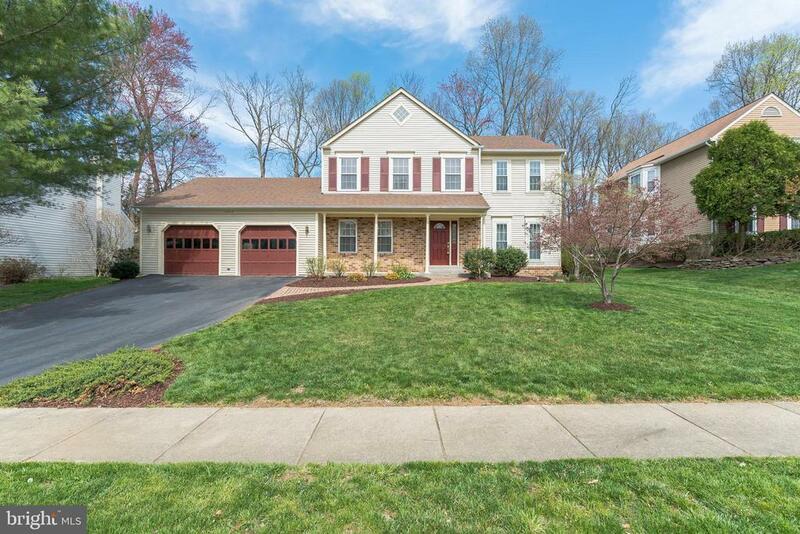 Commuters dream, directly off Fairfax County Parkway, minutes to Toll Road and Rt. 7, the perfect balance of privacy and access. Hurry, this one will not last.